With its TE+ and TY+ series, Tellermate offers two compact systems for reliable and accurate cash counting. The Tellermate TY+ series offers the retail version TY+R100 and the model TY+B100 for banking. 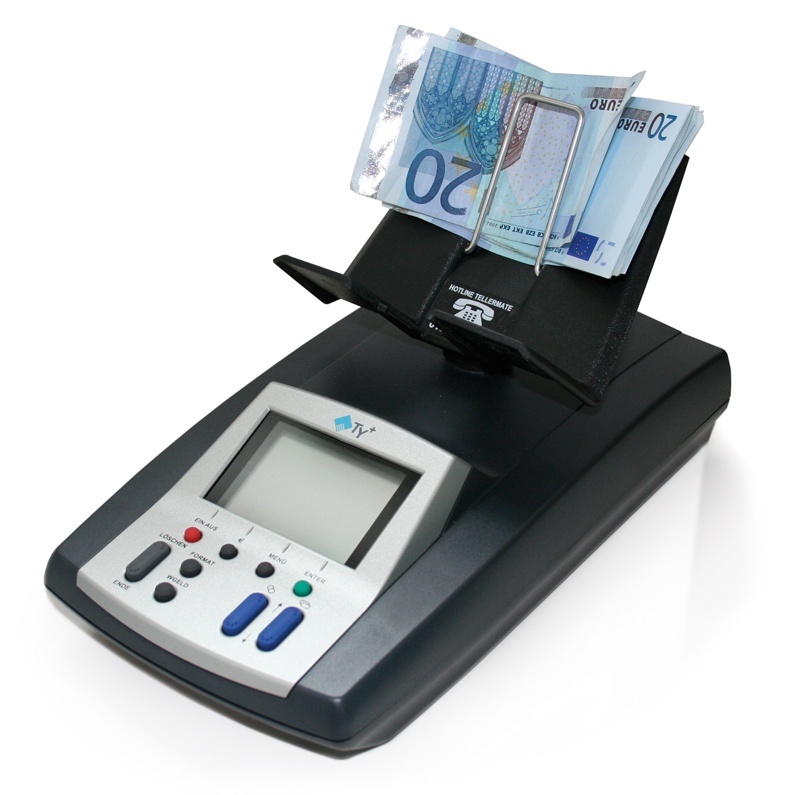 Both models are a compact solution for fast counting of coins, coin rolls and banknotes. How the notes are placed is irrelevant – in bundles, loose or with a clip. The device reconciles a standard cash drawer in less than sixty seconds. It avoids human errors and makes additional checks obsolete. If you prepare bank deposits and require absolute accuracy, Tellermate counting machines are certainly a perfect choice. Correctly operated, accurate results are by far more easily obtained than with conventional counting machines. Processing time is reduced to a minimum: coins and notes are separated according to their value and counted automatically. At the same speed, users can perform spontaneous cash checks and cash absorptions: Tellermate TY+ machines are always a perfect solution for retail and catering. Operation is extremely simple: coins, coin rolls and banknote are placed on the scales sequentially. By measuring the weight, Tellermate TY+ devices can determine the exact amount, event that of banknotes. Single values are added to the total sum, which is then display on the device’s extra-large display or printed out on a denomination list. The Tellermate TY+ is connected to a PC or printer using its RS232 interface. The Tellermate TY+ series does not only count cash – vouchers, coupons and tokens can be counted as well. Also available: optional TellerCups for counting coins. Users only have to put these inserts into the cash drawer’s coin compartments. To count the coins, you simply place the insert on the scales and the coins are counted instantly. Cupset 8 cups for Metapace K-1 - Cupset 8 cups for Metapace K-1, for Tellermate devices, with aluminium tray.